The Dodge Grand Caravan invoice price and the true dealer cost are not the same. Note: The Dodge Grand Caravan pricing report below does not include rebates or incentives. 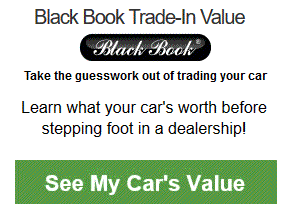 View Dodge Rebates and Incentives. Family always comes first and it seems Dodge believes in that too. Not many automobile brands manufacture family minivans but Dodge is not among them. The American company Dodge has made the Grand Caravan for over 3 decades and they do not plan to stop anytime soon. This year they have come up with a 2019 Grand Caravan which is extremely economical. A person belonging to the middle-income group having a large family can easily afford one. The Grand Caravan has a spacious interior that can seat up to 8 passengers. However, that is its only positive factors since if buyers are looking for driver assistance features and modern entertainment options they need to look elsewhere. 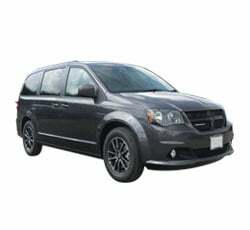 Dodge has added nothing new to the Grand Caravan except an extra exterior color. The IndiGo Blue color is now available for the 2019 model. This color was first introduced in 2018. Dodge sells the Grand Caravan in three distinct trims. The SE variant comes first, SE Plus as second and lastly the SXT variant. The Dodge Grand Caravan starts at a ridiculous price and when compared to its rivals it stands well above. The Kia Grand Carnival and The Chrysler Pacifica are much more expensive. And that is the biggest selling point of the Grand Caravan. Neither of the models has any luxury features. All the buyer gets is a working minivan with a very basic interior. The SE Plus has a number of extra features over the SE including automatic headlamps, and Bluetooth phone and streaming audio. There is a GT model available but that is only for fleet customers. There is only one engine available across all trims. The 3.6-liter engine oozes out 283 hp while being mated to a 6-speed automatic transmission. Power is sent to the front wheels where the weight is the bare minimum. Unfortunately, the Dodge Grand Caravan cannot keep up with its rivals in terms of acceleration. Even though the engine rumbles like a monster, the power to weight ratio of the Grand Caravan is not enough to surpass the 0-60 time of its rivals. The Grand Caravan is a family minivan which means too much power is unnecessary. The best use for a minivan is daily driving, picking up kids from the school and getting groceries on the way back. It is highly unlikely that someone uses the minivan for their street racing passion. Often the first thing a buyer looks at before buying a vehicle is how safe it will be on the road. Accidents can happen anytime and it is best to be prepared for a calamity beforehand. The National Highway Traffic Safety Administration (NHTSA) and the Insurance Institute for Highway Safety (IIHS) award ratings and grades to various vehicles to ascertain their safety. The 2019 Dodge Caravan gets a 4-star rating from the NHTSA, which is not good by any standards. Furthermore, the Grand Caravan fails to secure the Top Safety Pick award from the IIHS. It gets an overall Good rating, which is not the highest from the authority. So, if you are looking for a minivan that could save you and your passengers from harm, the Dodge Grand Caravan should be the last place you should look at. The Grand Caravan does have basic safety gear which includes seven airbags, tire pressure monitor, a rear-view backup camera, traction control, and stability control but it does not have any modern driver assistance features. The GT version, which is not available for regular customers, has a Safety Sphere package. This package adds a blind-spot monitoring system, rear cross-traffic alert, and rear parking sensors to the Grand Caravan. The interior cabin of the 2019 Dodge Grand Caravan is spacious and there is no hint of luxury inside. A normal fabric is used to adorn the seats and the dashboard has a plastic-y feel. Dodge does give a 6.5-inch infotainment screen but it is not user-friendly at all. More features can be added to the existing infotainment system but you would have to pay more. Surprisingly, both Android Auto and Apple CarPlay are unavailable for the Grand Caravan. The Grand Caravan can be given extended cargo space. Its third-row seats can fold and go inside a cavity specially made to make the folded seats disappear from view. This adds extra space to store larger cargo. Example: Base Dodge Grand Caravan invoice price + the dealer Invoice price of options + destination - Holdback = Total Dealer Cost. Note: All Dodge Grand Caravan MSRP, invoice and dealer cost dollar figures above are approximate amounts. Prices are subject to change without notice.